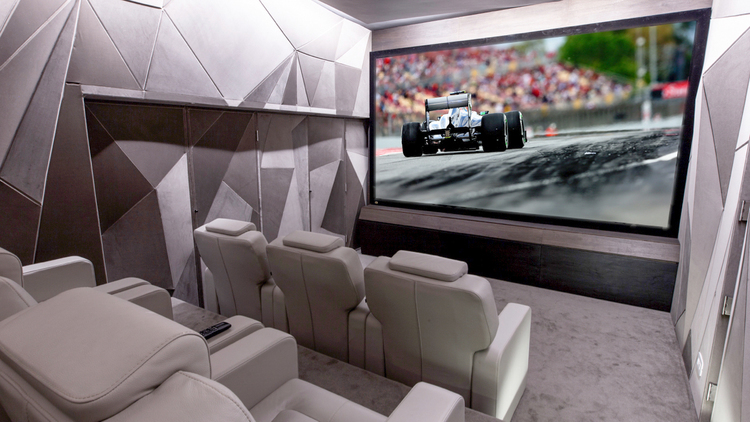 July's amazing Artcoustic Installation Of The Month also took home the prestigious CEDIA Award for the Best Home Cinema between £40,000 - £100,000 at the awards ceremony earlier this month. Well done for an amazing project to Christiaan and the whole team at Sphere Custom in South Africa! The system was meticulously planned with technical consideration given to every aspect of the room and system, ensuring the acoustics of the room were ideal, as well as all the audio and video parameters carefully calculated. The result is a room that not only looks amazing, but crucially also delivers an incredibly cinematic performance. The standard this year at the CEDIA Awards was again exceptional, and to win in one of the most competitive categories is a magnificent achievement. Artcoustic are very proud to have been part of it. Well done Sphere Custom!